Early-bird shoppers at City Centre Deira today have the chance to win instant rewards of Dh200. No draws. Just shop and win right away. Back by demand during the final week of Dubai Summer Surprises (DSS), the first 1,000 visitors who shop at any two stores at City Centre Deira during 'Shop for Free Tuesday' on July 31 will get the equivalent of what they have spent as a Mall GiftCard instantly, with Dh200 being the maximum value of the reward. 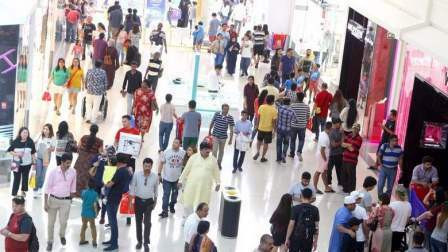 The initiative, in partnership with Dubai Festivals and Retail Establishment, encourages visitors to come early to avoid missing out on the malls' biggest single day giveaway, which will total Dh200,000 with 1,000 winners getting back up to Dh200 each. The mall will also have a special ceremony to congratulate the winners on the same day.